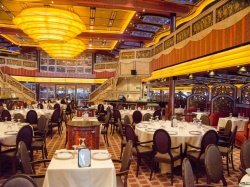 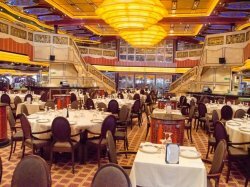 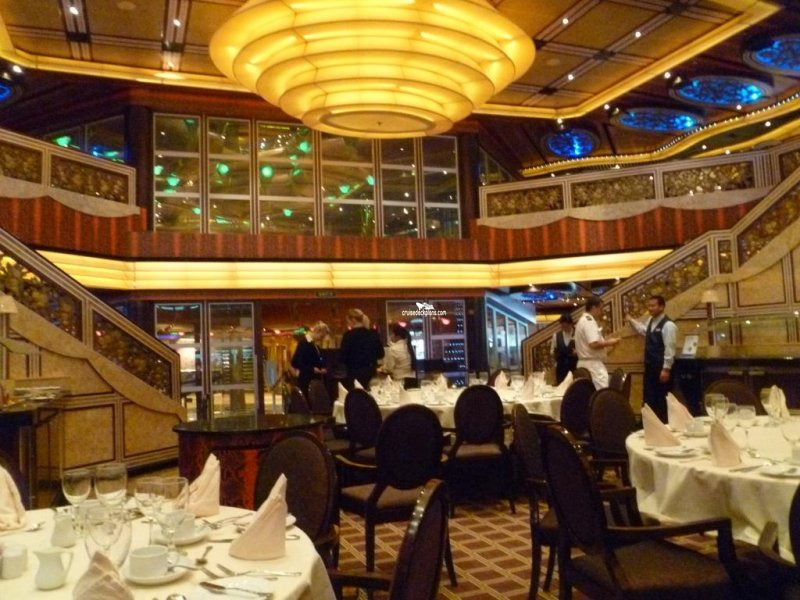 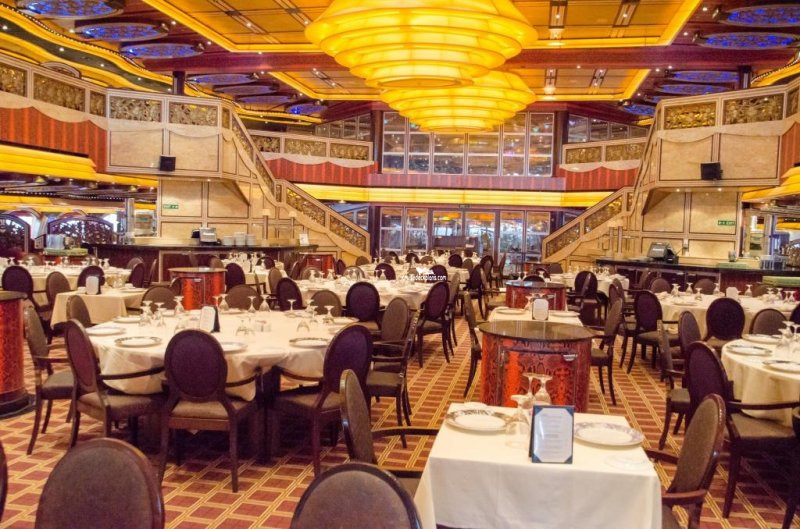 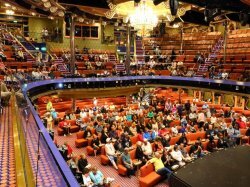 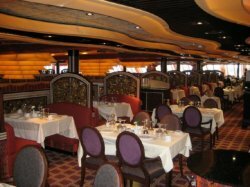 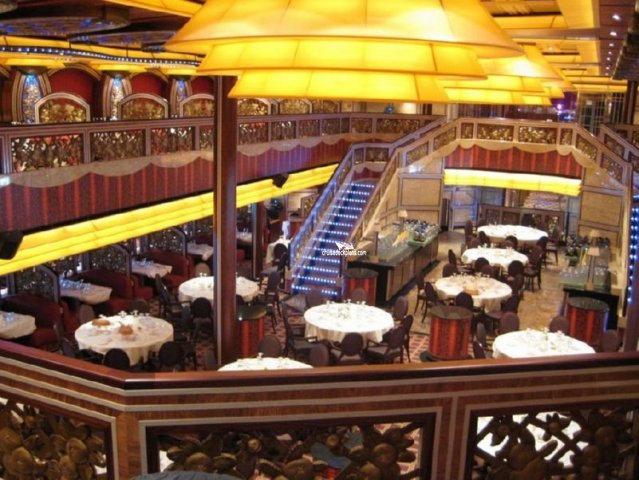 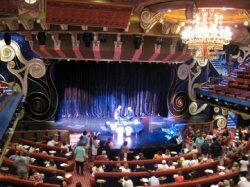 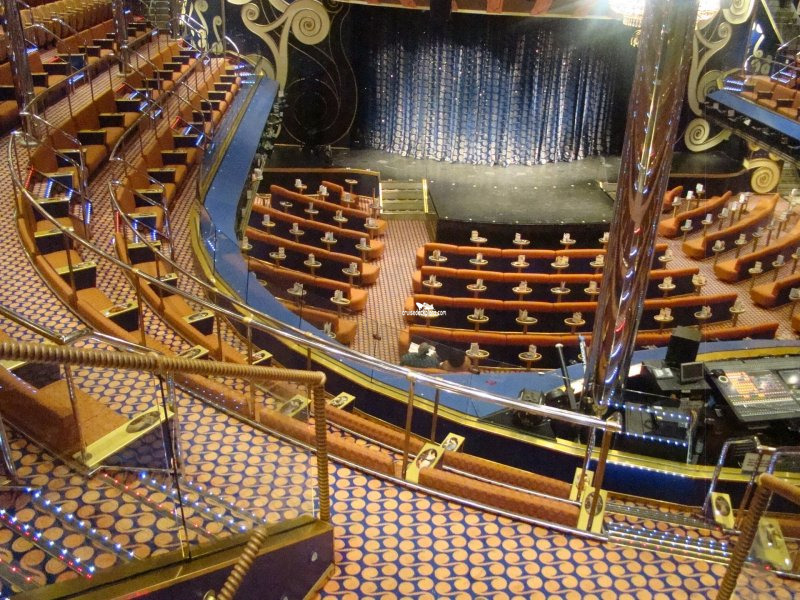 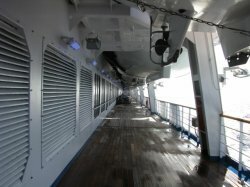 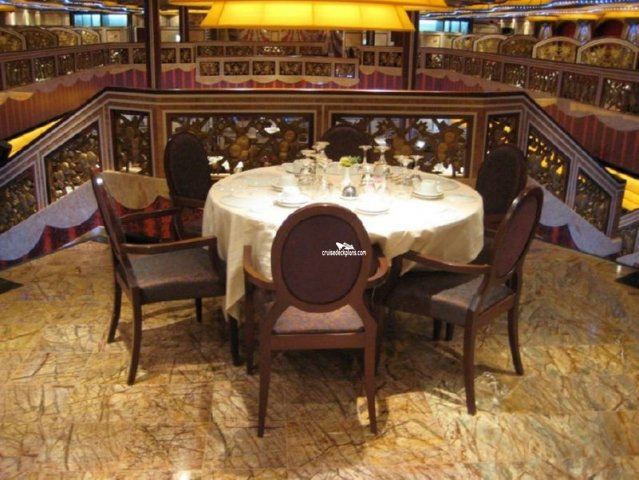 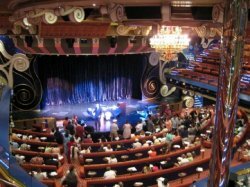 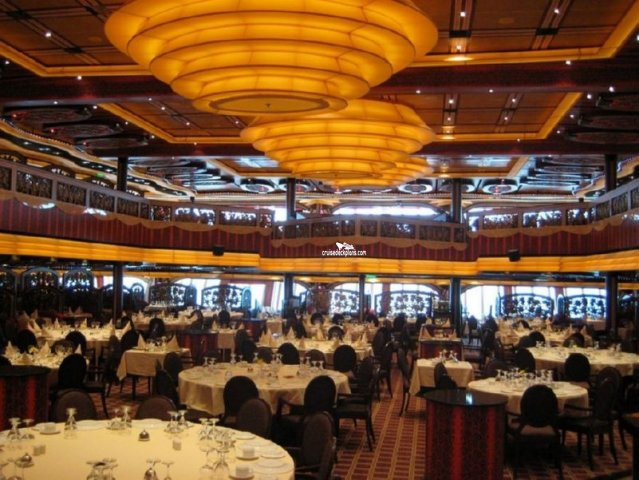 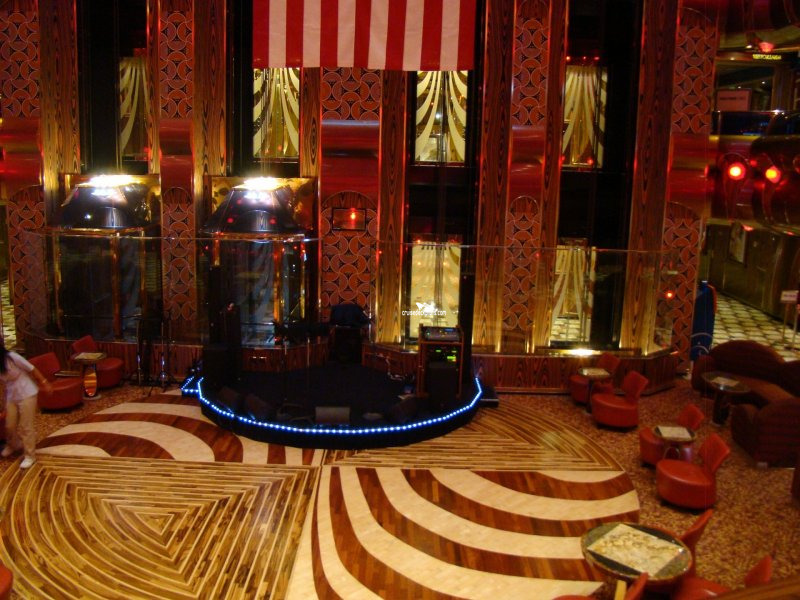 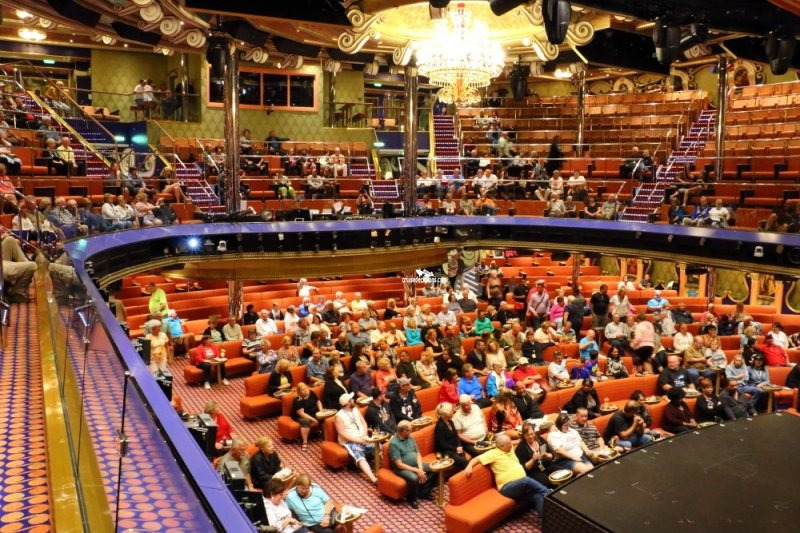 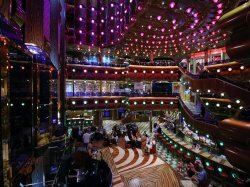 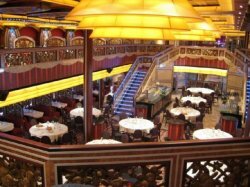 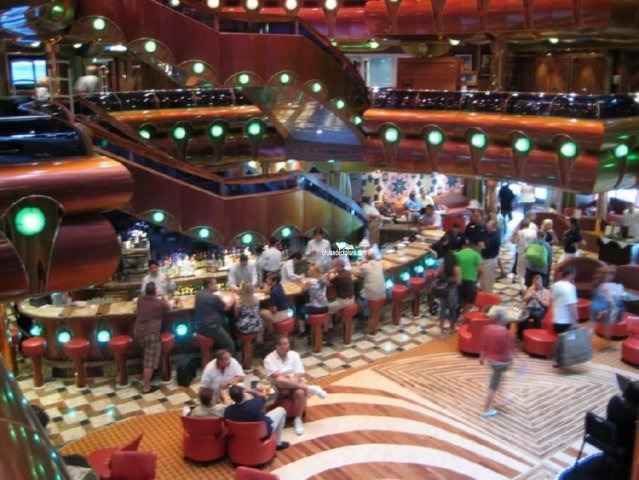 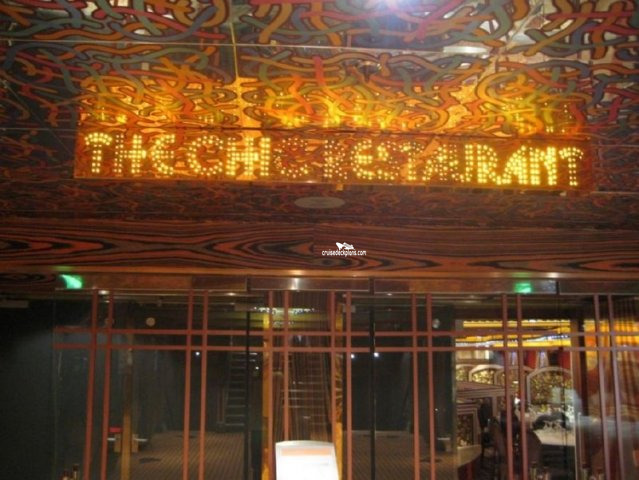 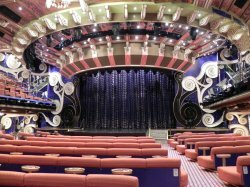 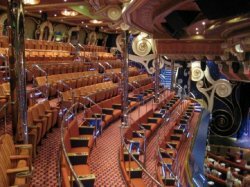 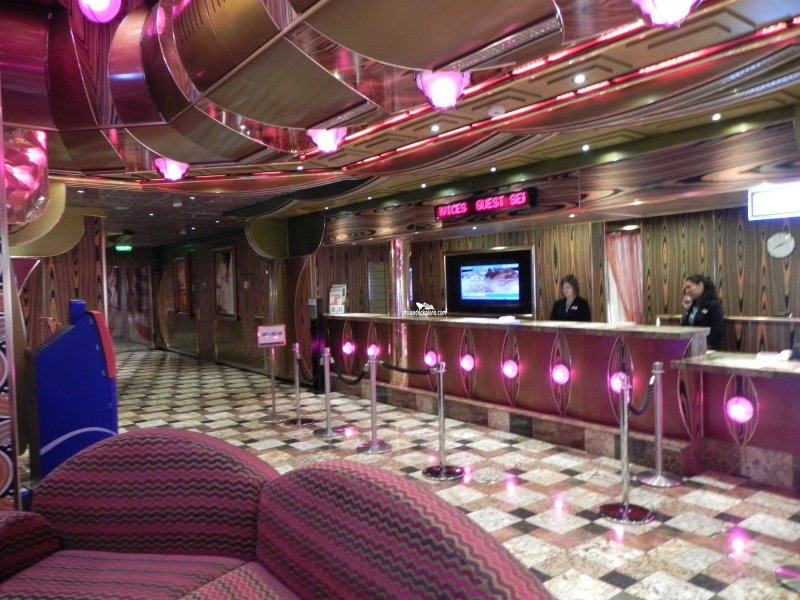 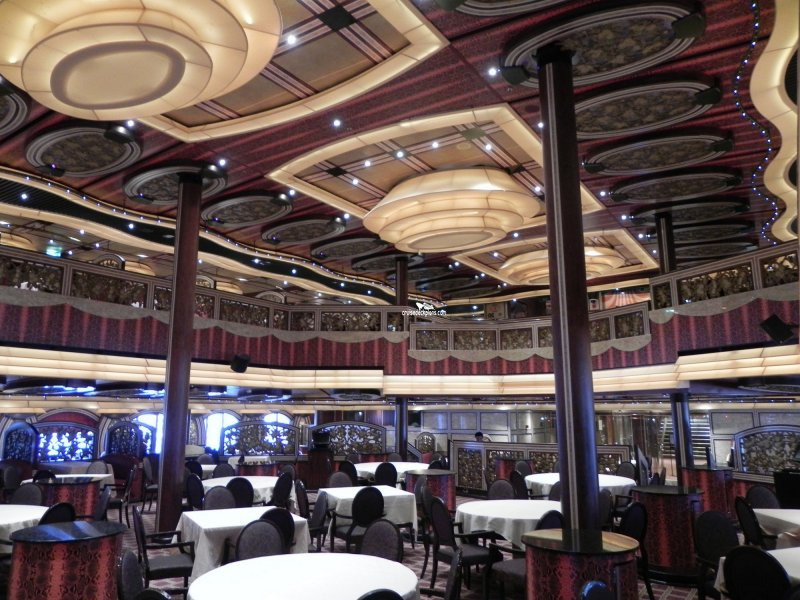 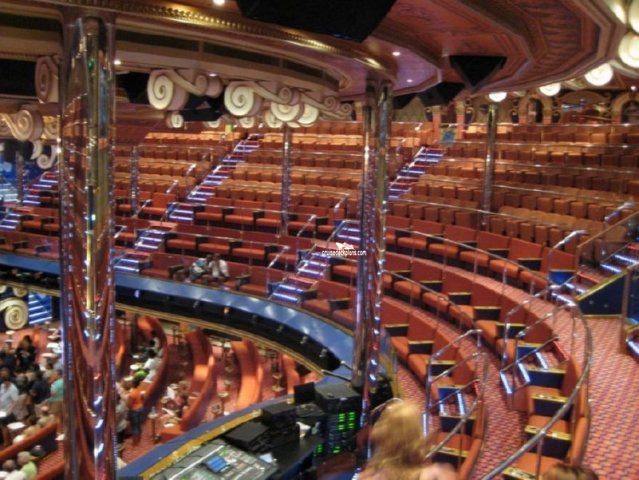 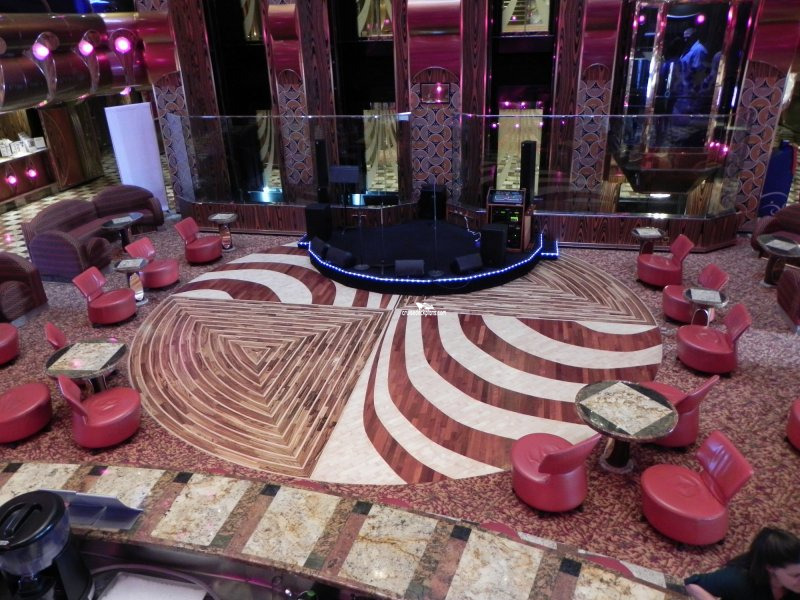 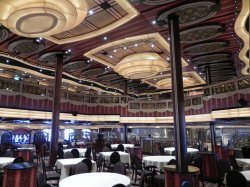 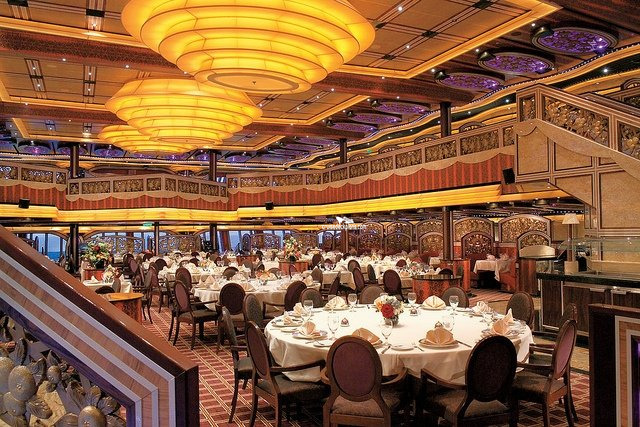 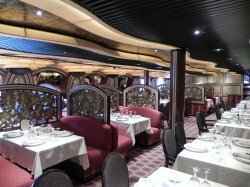 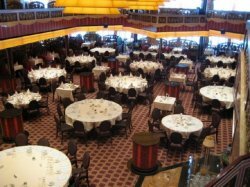 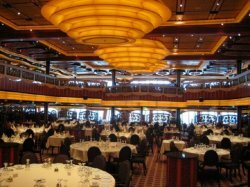 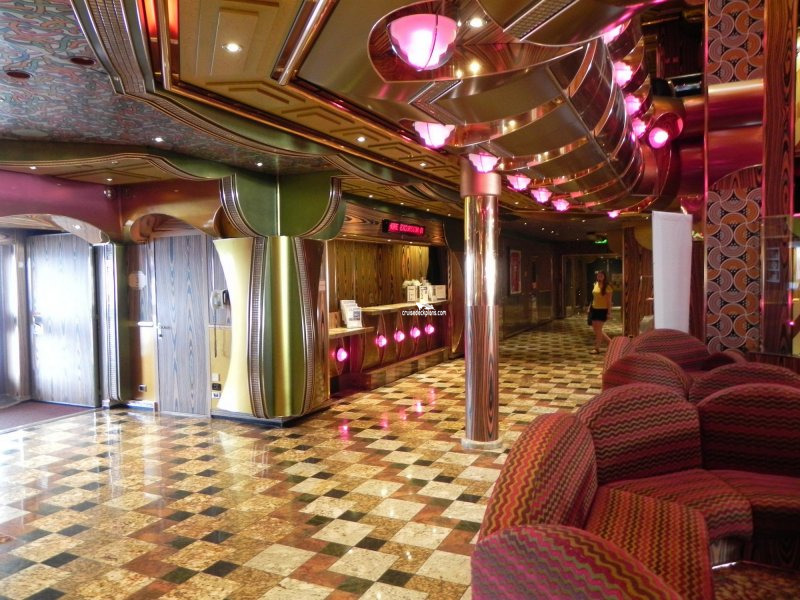 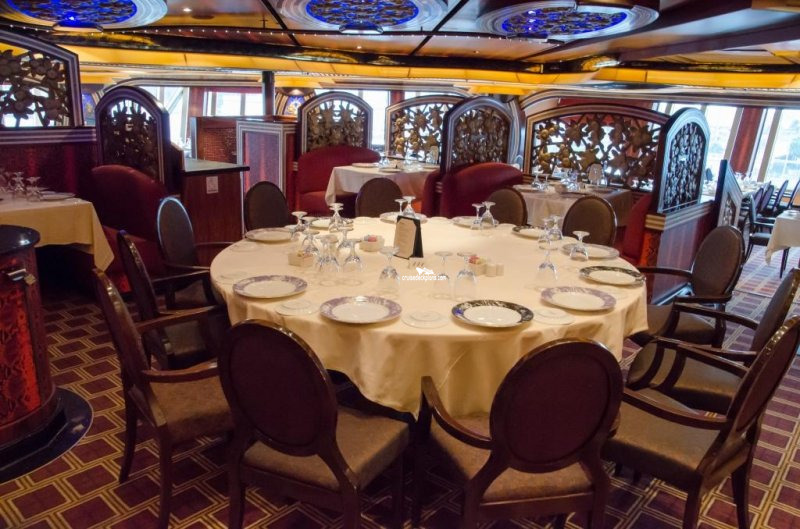 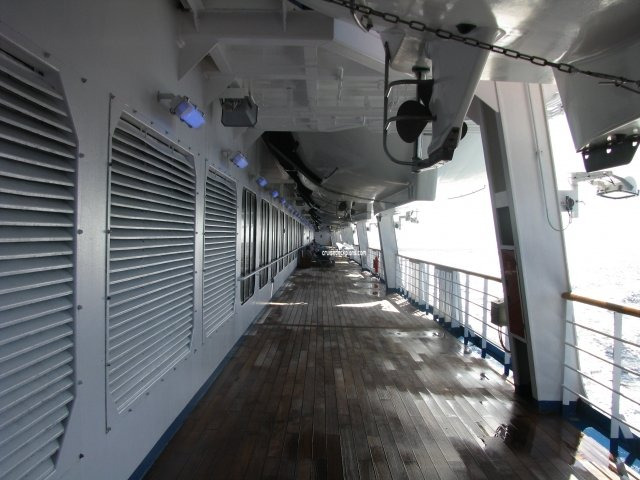 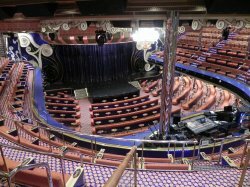 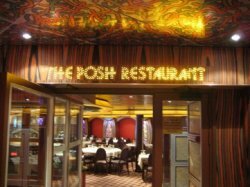 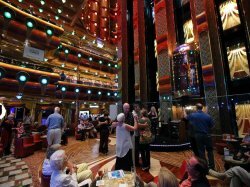 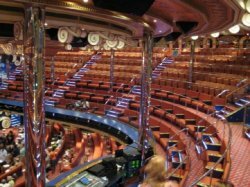 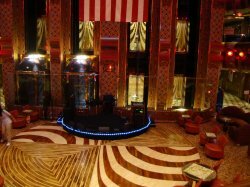 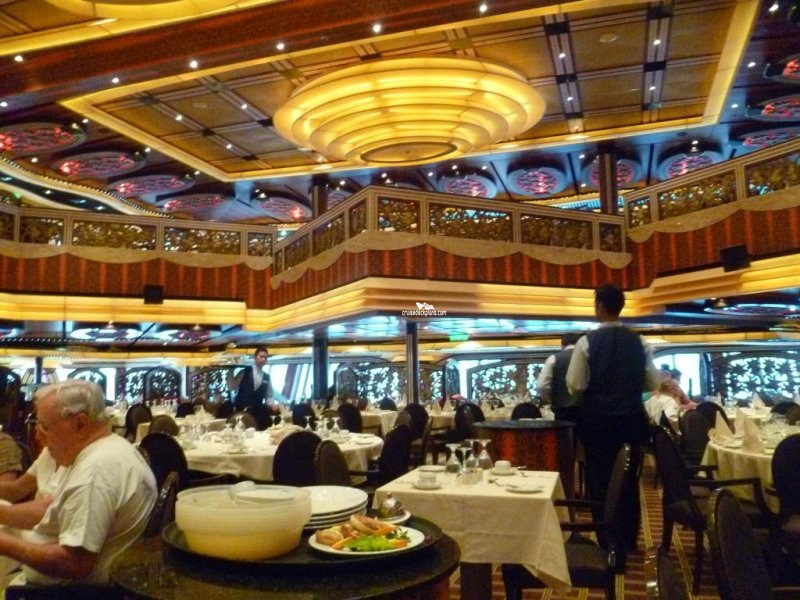 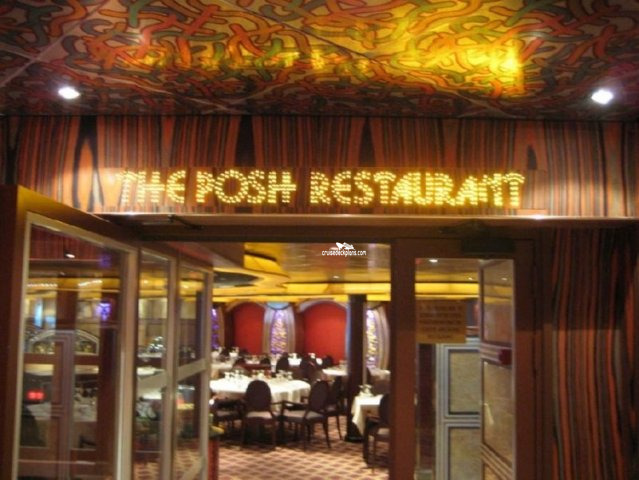 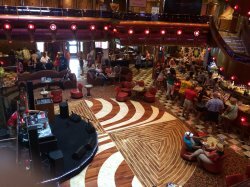 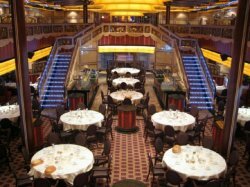 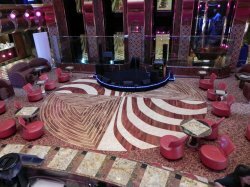 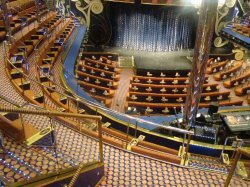 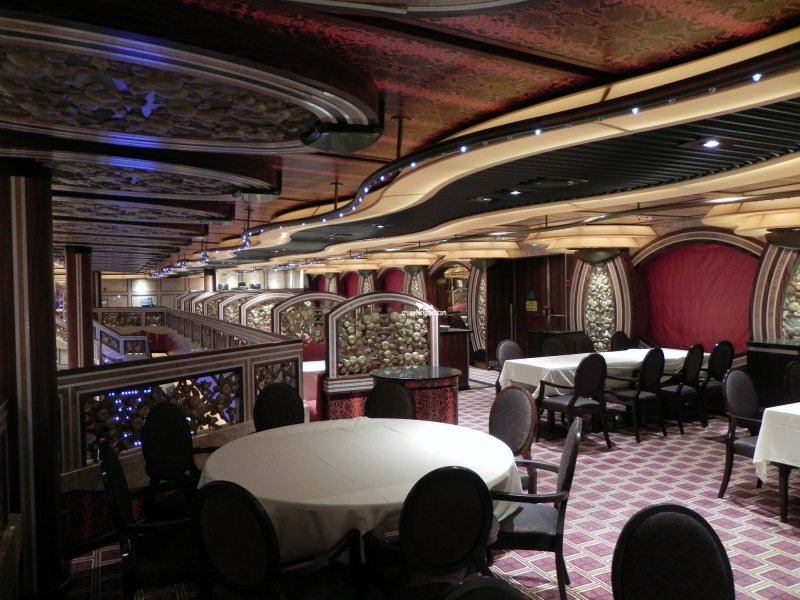 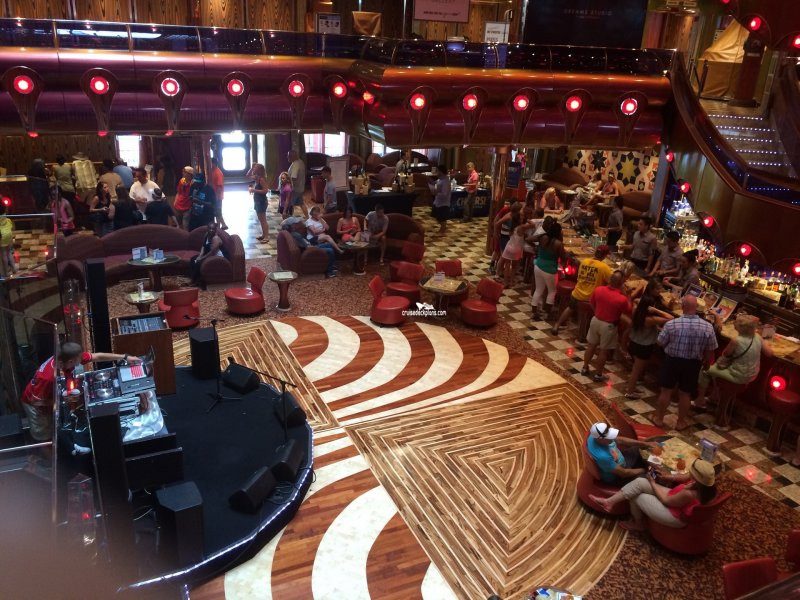 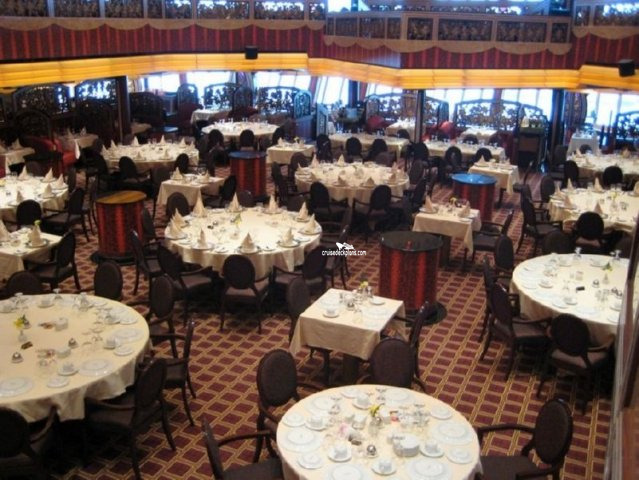 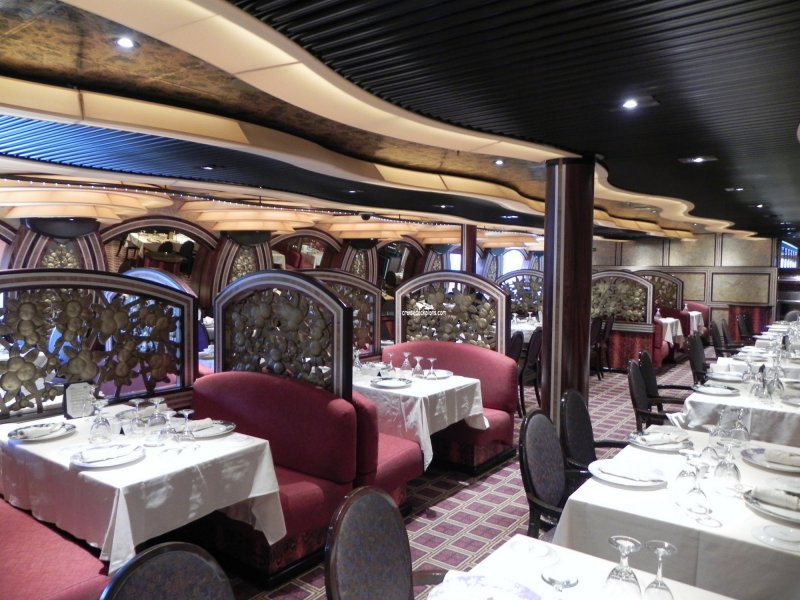 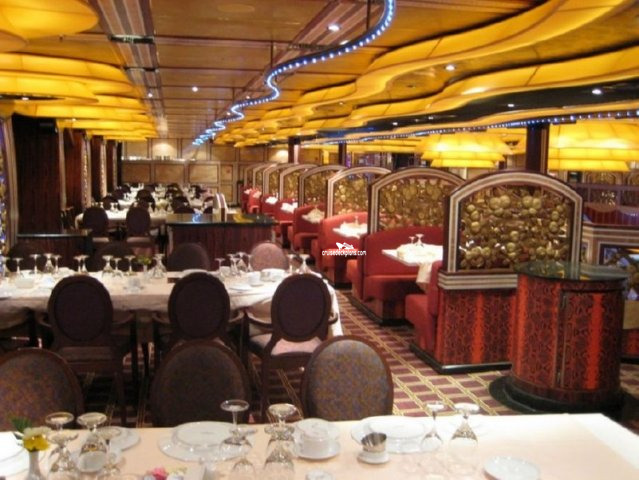 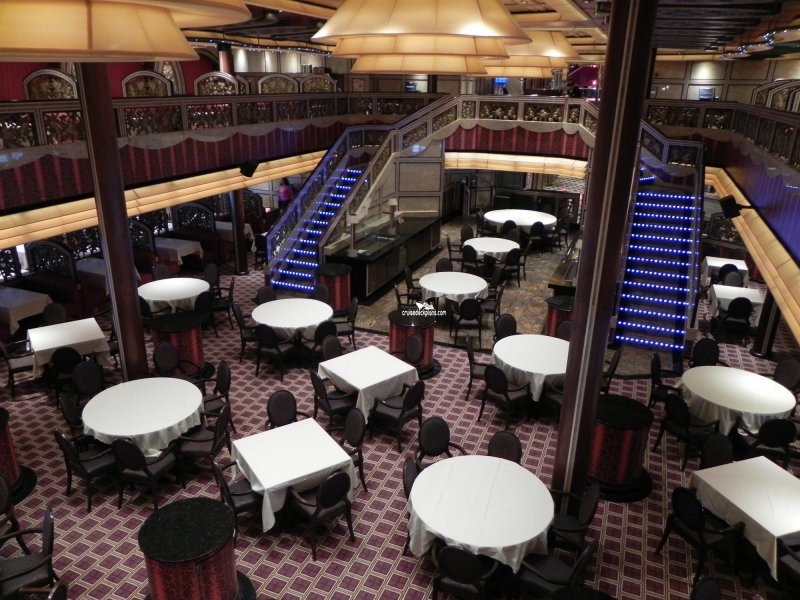 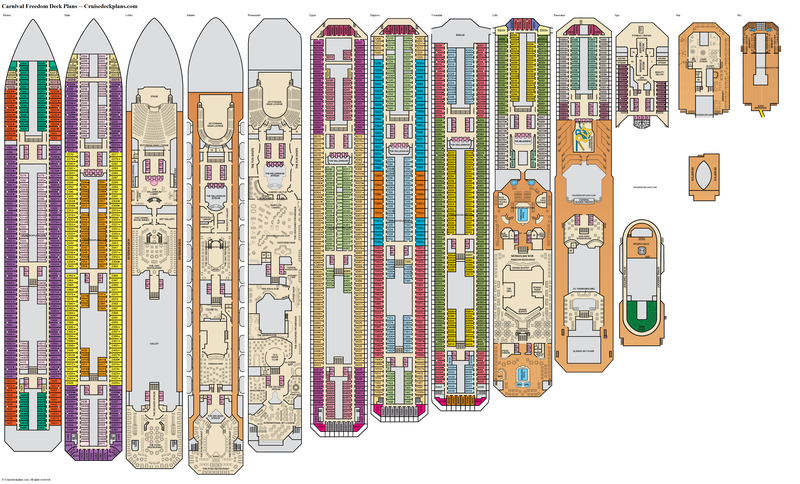 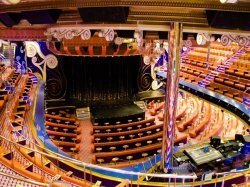 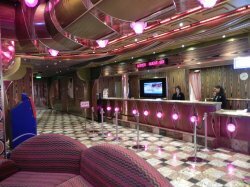 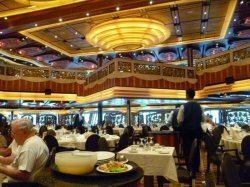 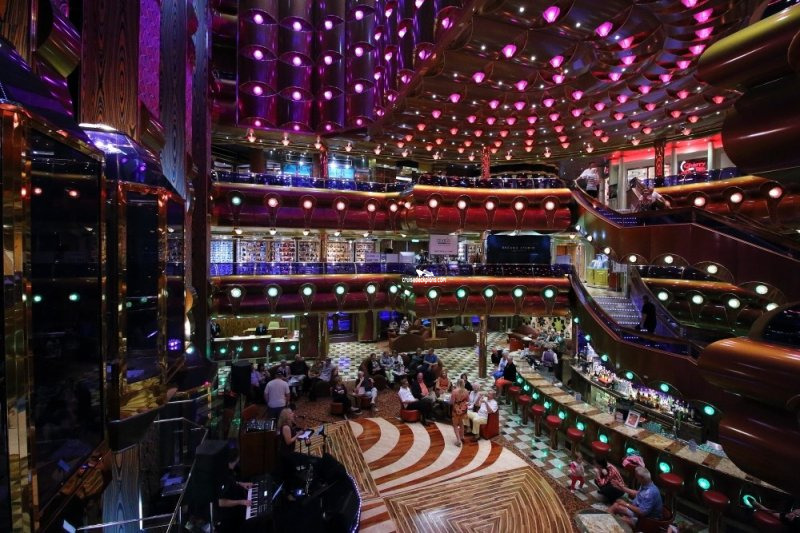 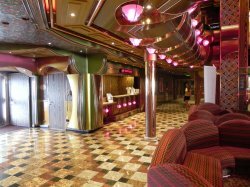 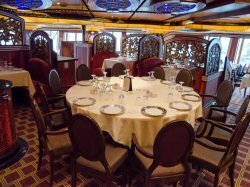 The larger of the ship's split level formal dining rooms with a seating capacity of 1122 and live music performances. 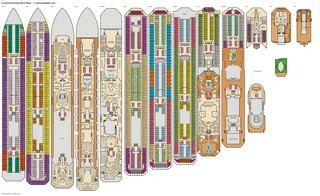 The smaller of the two main dining rooms on the ship with seating for 744. 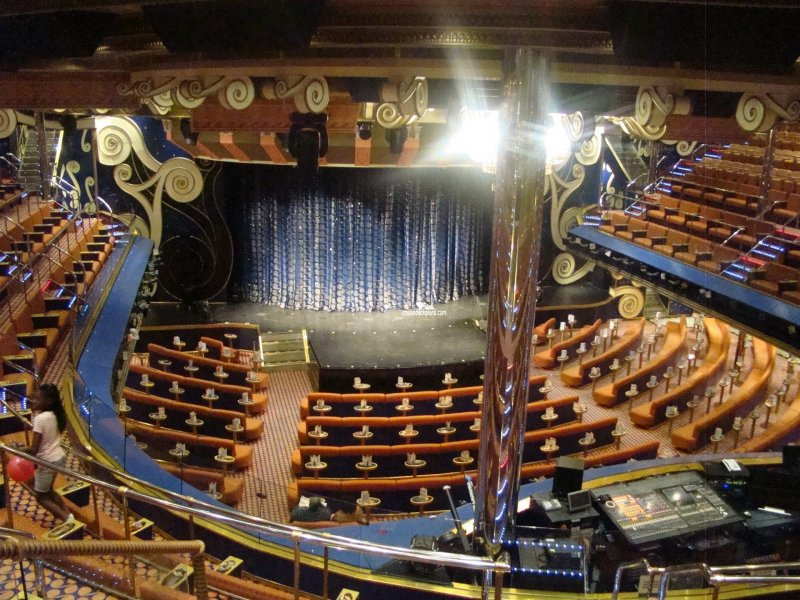 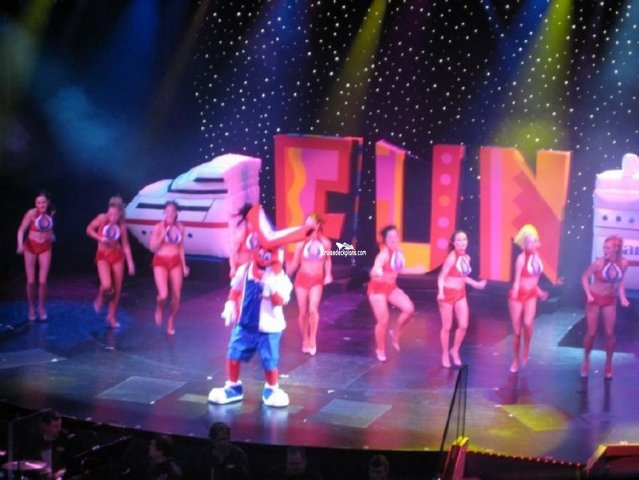 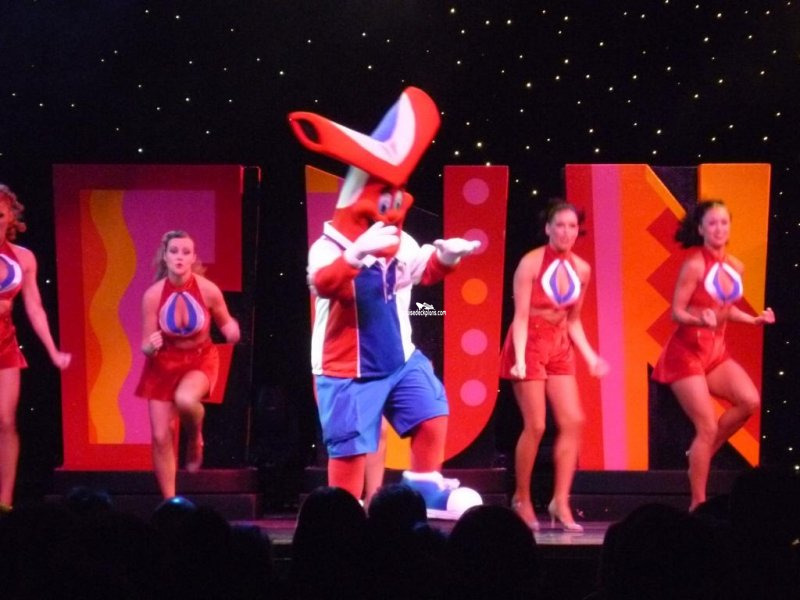 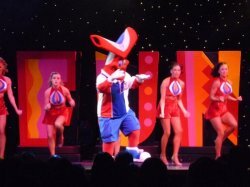 This is where the ships stage productions take place featuring musicians, dancers, singers and magicians. 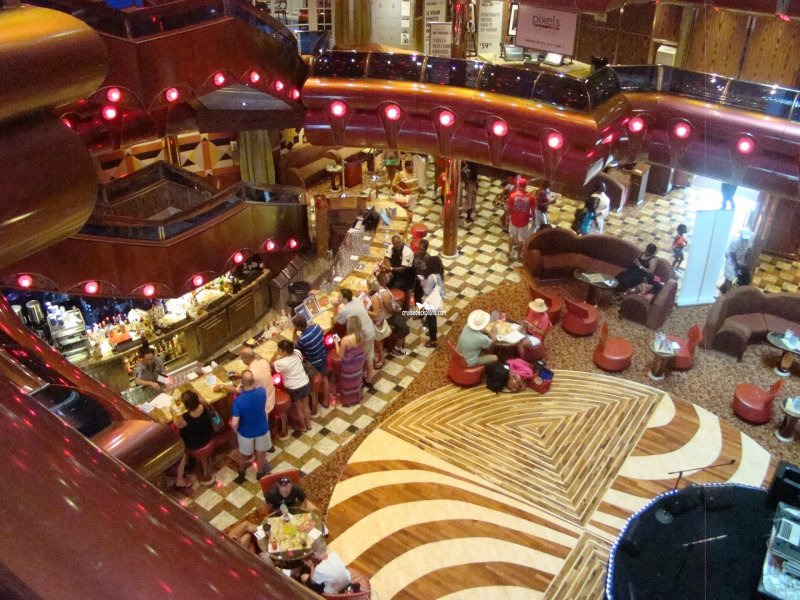 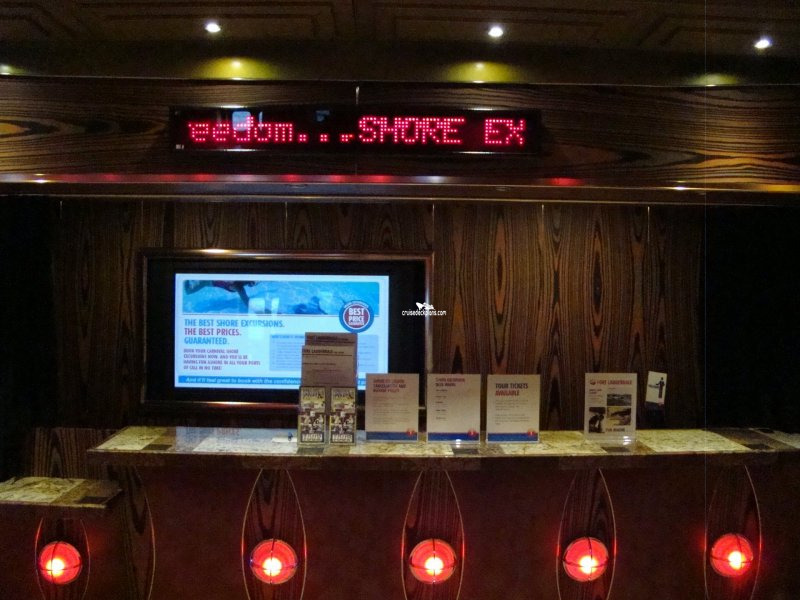 Ships lobby and area for guest services and shore excursions. 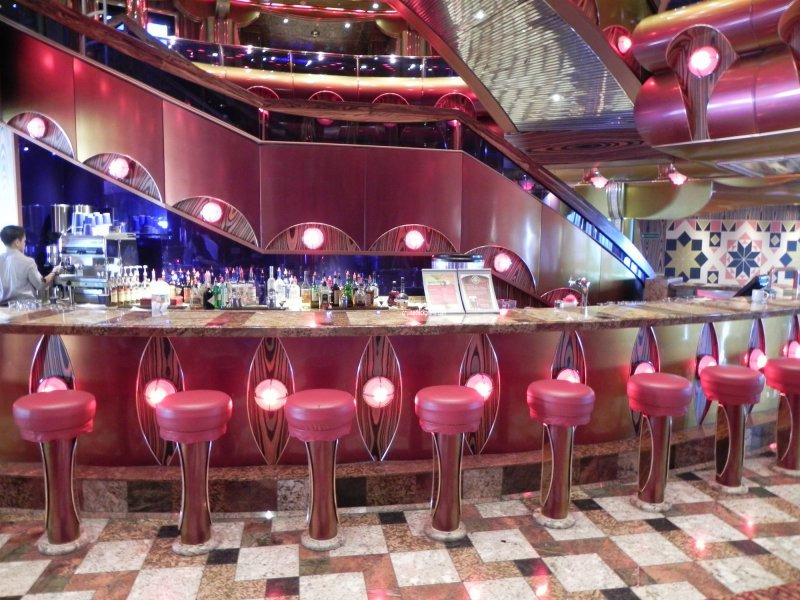 There is a bar and lounge area.